My goodness. I’m being inundated with accolades. One might have been a fluke, but two gets me thinking I might be doing something right (although I just accidentally typed “write” instead, so that was a short-lived feeling). It’s been really awesome to cultivate this site, share my work and my photos, and meet a fantastic group of creative, funny, passionate bloggers. I am, in fact, quite honored that any of you stick around to listen, let alone think I’m worthy of any mention at all. A special thank you to Katherine Givens for the nomination and her very kind words. Please go check out her site. 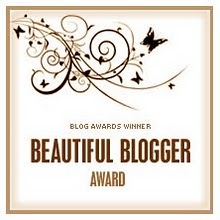 The rules are similar to the last award, although this time I don’t have to share any deep, dark personal secrets, just nominate seven bloggers to pass it on. These are more recently discovered blogs, visually pleasing or otherwise charming and interesting. I hope you’ll give them a visit. In other news, this week I recorded a full-length episode of Friends and Other Strangers, the wonderful podcast run by someone who is, oddly enough, a little bit of both. Join us as we talk about modern femininity, the struggle of women to define themselves throughout history, and my struggle to keep my accursed router from deciding it’s tired and needs a nap. I’ll post a link to it on Tuesday when it goes live. Other than that, have a very happy Towel Day. In a rather pleasing coincidence, this is my 42nd post. So just remember: don’t panic.